Hudson, Ohio — JOANN Stores, America’s largest fabric and craft destination, has filled out its executive bench with a critical technology role for the 75-year-old retailer. Varadheesh Chennakrishnan will serve as JOANN’s Chief Information Officer, helping the company optimize and innovate to create the ultimate craft experience, wherever customers are. Varadheesh joins JOANN from Ulta Beauty, where he spent more than 8 years in roles of increasing responsibility in the IT organization, most recently as SVP, Applications & Enterprise Architecture. Prior to Ulta, he honed his expertise as a systems and software expert at several companies and as an independent consultant. His deep experience with IT systems at work in retail comes at a watershed time for JOANN. The company unveiled its first Concept Store last summer, featuring cutting-edge technology, community spaces, and interactive kiosks. The retailer has begun rolling out some of these aspects to its more than 865-store fleet, and will continue testing and piloting new technologies across the nation. Author: JOANNFor more than 75 years, JOANN has inspired creativity in the hearts, hands, and minds of its customers. From a single storefront in Cleveland, Ohio, the nation’s leading fabric and craft retailer has grown to include more than 865 stores across 49 states and an industry-leading e-commerce business. 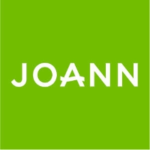 With the goal of helping every customer find their creative Happy Place, JOANN serves as a convenient single stop for all of the supplies, guidance, and inspiration needed to achieve any project or passion. 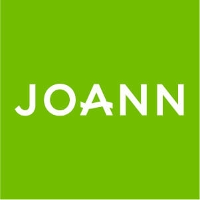 For store locations, project ideas, and a full product offering, visit joann.com.